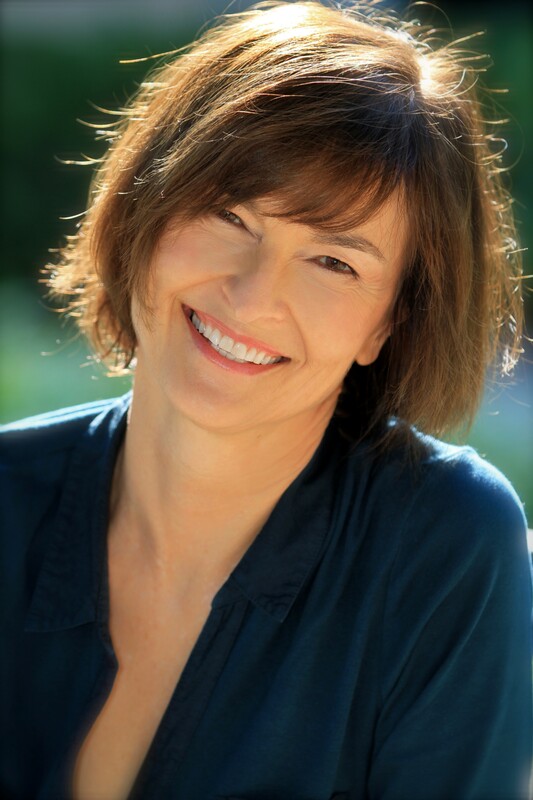 With more than 30 years of experience in performing arts education, Betty Schneider has been a director and faculty member at organizations throughout the United States and Europe, including American Conservatory Theater, ArtsBridge, The Performing Arts Project, Broadway Theatre Project, University of San Francisco, and Green Voices Institute in Munich, Germany. As a voice teacher, she specializes in teaching seamless vocal technique and passionate performance. 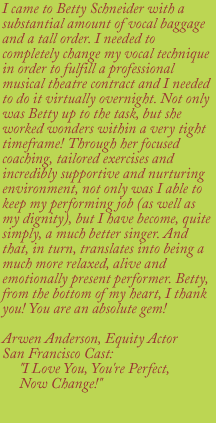 Betty has taught Broadway performers including Tony and Grammy Award winning artists. Her students are currently attending the top performing arts universities in the country including Carnegie Mellon, University of Michigan, Emerson College, Boston Conservatory, Hartt School of Music, NYU/TISCH, Pace University, and UCLA. She holds a BA in Theatre Arts from Oberlin College in Ohio with additional training in New York and Los Angeles. She now lives in the San Francisco Bay Area where she is most excited by developing and mentoring the next generation of musical theatre artists.